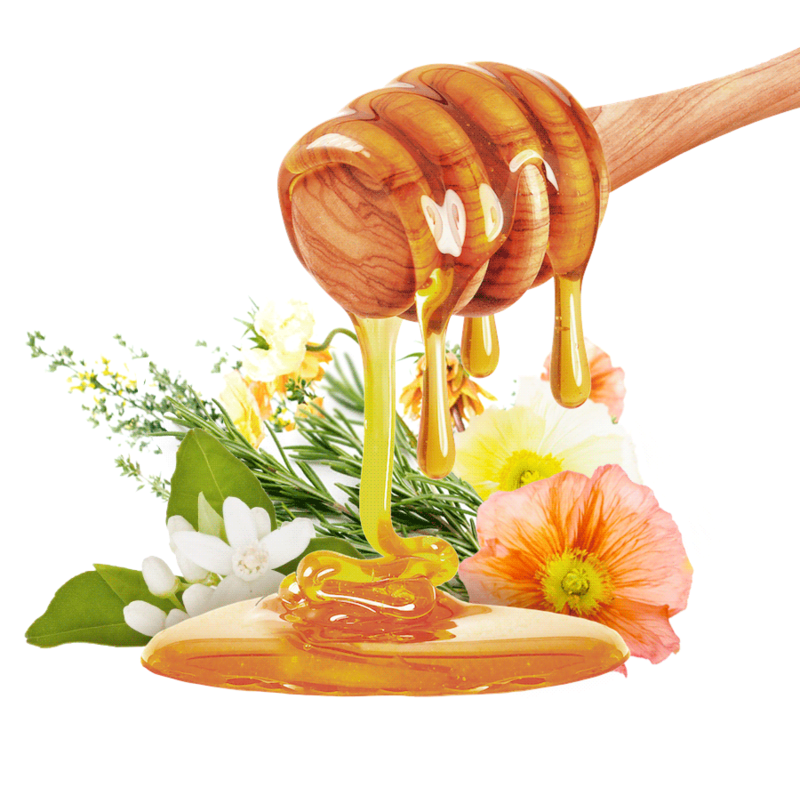 We elaborate our honey type mixed varieties with different kinds of honey. This honey is full of healthy properties. For instance, it alleviates allergies and has anti-inflammatory effect; it is a great source of energy; it boosts memory and protects against some mental diseases; it is an effective cough suppressant; honey helps to have a restful sleep, etc. Bees are a fundamental link in the production of vegetable and fruits. Nowadays, there is a worldwide shortage of bees so we have decided to fight against this situation. As processed fruit and vegetable manufacturers and suppliers, we own vast fields of fruit groves and vegetable croplands, full of flowers. We have seen in these fields the perfect environment for keeping bees. Thus, we are increasing bee population (what is great to preserve the natural flora) and, at the same time, we are gathering a high quality honey. Our different croplands allow us to obtain different kinds of honey. With honey type mixed varieties we combine all these varieties to create this delicious product, full of benefits for health. When our honey is ready and packed, we can ship it all over the world. We always follow all the foreign countries regulations and laws about food shipping. We are Lemon Concentrate and we are located in Murcia, in southeastern Spain. This is a famous region due to its fruit and vegetable production. Our company has been in the food and beverage industry for decades and we have reached one of the dominant positions in the market. Now, we are applying all our experience into the honey industry. If you are interested in buying high quality honey in bulk, you should work with Lemon Concentrate. Working with Lemon Concentrate means working with an effective and responsible company who always finds the best logistic solutions to meet their clients’ needs.